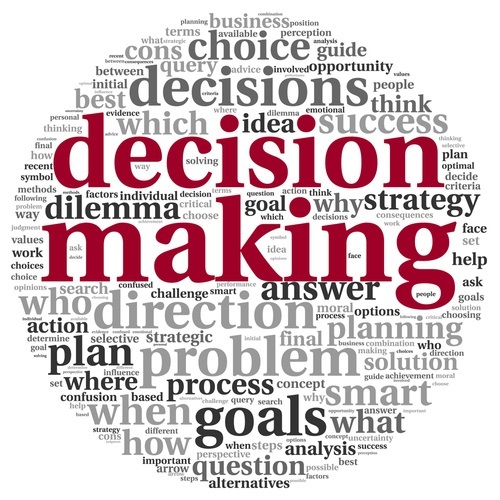 Our previous post shared data from a Wall Street Journal article about decision-making, which indicated that the way in which leaders make decisions (the process) is just as important as what decisions they make. In that article, author Robert I. Sutton described four specific pitfalls associated with the decision-making process that can compromise a leader’s effectiveness as well as the effectiveness and attitudes of people throughout the organization. The first of these pitfalls, which was the subject of our previous post, involves telling people they have a voice in decision-making when, in reality, they don’t. Sutton goes on to explain that the insecurity and waffling “infects their teams.” In addition, many of the people involved lose faith in their leaders’ ability to make good decisions, and also lose interest in implementing new directives that could soon become subject to change. 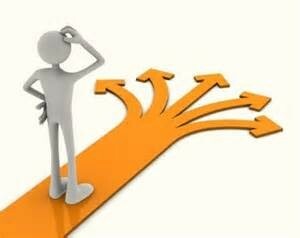 We will take a look at two additional decision-making pitfalls in our next post. In a recent Wall Street Journal article, Robert I. Sutton, a professor in the department of management science and engineering at Stanford University and co-author of “Scaling Up Excellence,” shared some interesting and important insight into decision-making. In his article, Sutton makes several points consistent with the fact that all work (i.e., decision making) is part of a process, and every process can be improved. 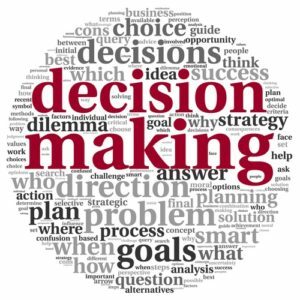 For example, he first explains that in organizations of all types, how leaders make decisions (the process) is just as important as what decisions they make. Sutton then described four specific pitfalls associated with the decision-making process that can compromise a leader’s effectiveness as well as the effectiveness and attitudes of people throughout the organization. The first of these pitfalls involves telling people they have a voice in decision-making when, in reality, they don’t. Unfortunately, in too many cases the consultation of others is only make believe… it starts out looking like the real thing, but in the end leaders are just pretending that others’ input has some influence over the final decision. While the motivating force behind the make-believe-consultation can vary — some bosses do it to fool people into getting behind the decision’s implementation, and others because they think the mere opportunity to voice opinions somehow makes people feel better — it doesn’t matter. In the end, pretending to consult others for decision-making purposes and then ignoring their input turns out to be demoralizing. Further, the associated deception and disrespect often causes employees or stakeholders to lose faith in their leaders. In upcoming posts we’ll look at three additional pitfalls related to “how” decisions are made, and how each impacts all of the people involved. A past post focused on how we make decisions, and noted that while people often think they could make better decisions if they had more facts and data, in practice the presence of “too much information” often complicates decision-making. In fact, behavioral economists report that “data driven” decisions tend to increase confidence in the decision far more than the quality of the decision. While the above-mentioned post shares a five-step process for making critical or complex decisions, a simpler approach might be equally as good for certain decisions. Consequently, we might want to first consider the “type” of decision with which we’re faced. In other words, if we “classify” the decision first we can then proceed more strategically. Known knowns: That is, we know what information we need in order to make a good decision and we can acquire that information. These decisions can be mapped out with simple decision-trees to reliably and quickly produce good outcomes. For example, a supplier selection process can be mapped out and reliably executed to produce good results. Unknown unknowns: Complex decisions, in which we may not even know all the right questions, are increasing in frequency. Many strategic decisions organizations face today carry a great deal of uncertainty. Since best practices are by definition past practices, we have little to go on when faced with unknown unknowns. Thus the more detailed 5-step decision-making process outlined in the above-referenced post can help us achieve the best results. Can Too Much Data Make Decision-making More Difficult? Traditionally, many people thought that if they had more data, they could make better decisions. But we’re all familiar, no doubt, with the taunting acronym, “TMI” (Too Much Information!) that is commonly directed at those who “over-share” personal details. Similarly, in today’s business world, the flood of data can make many decisions more complex… and the decisions made by considering all of this data are not always better! Sometimes, because there is so much data to consider and evaluate, people can easily become overwhelmed; or over-think each decision, thus slowing-down or compromising decision-making processes. Start with a clear goal or objective. Know what you know and what you don’t know. 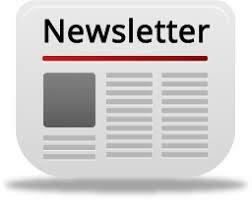 Behavior economists assert that human beings are wired to give much more weight to information we have than to information we do not have and by doing so, we miscalculate our risks and opportunities. It is important to seek missing information as well as available information with equal zeal, and to make a special effort to look for dis-confirming information as well. Achieve distance & perspective before deciding by maintaining a healthy emotional distance. Bringing in other perspectives, suppliers, customers, and other stakeholders can help provide different perspectives on the decision to be made. Take a hard look at the uncertainty. One way to combat uncertainty is to figure out what you do know and use that to “bookend” the decision: what would be the outcome if all the bets go against you, and what would it look like if everything fell into place. This can help you evaluate if there is more upside opportunity or downside risk.